Touring to promote their latest album Dancing with Danger, prairie-rockers Streetheart will headline this Monday’s (February 21) triple-threat rock showcase at the Pacific Coliseum. 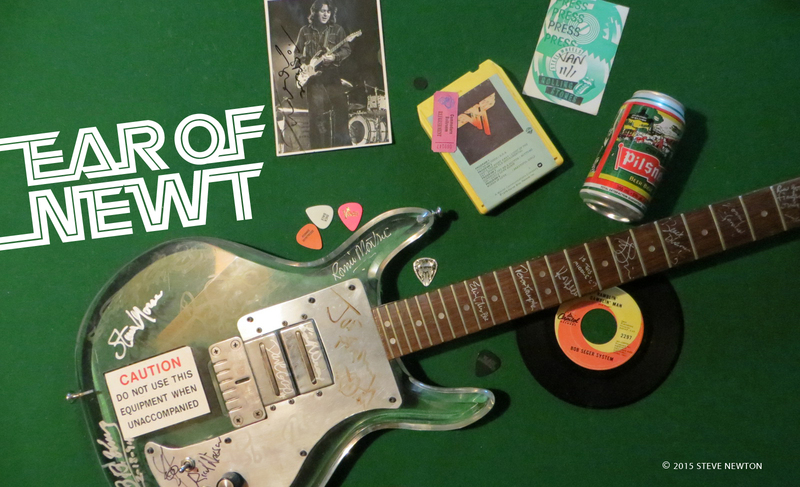 Kilowatt and Vancouver’s own Headpins will also perform at the event. Last year Streetheart earned a Canadian platinum award for their self-titled sixth album, and their newest release looks like it may do just as well. Dancing with Danger is currently No. 17 after only five weeks on the Georgia Straight Top 50. 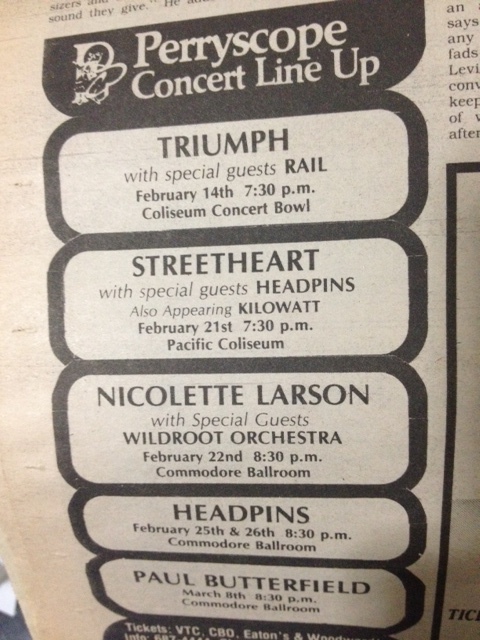 Headlining major venues in the west and opening for April Wine in the east kept Streetheart busy through much of 1982, and last year also saw the band sign a U.S. recording contract with Pasha Records. It was Pasha’s owner, Spencer Proffer, who produced the new LP. The members of Streetheart are drummer Billy Carmassi (brother of former Montrose and Sammy Hagar drummer Denny Carmassi), keyboardist Daryl Gutheil, guitarist Jeff Neill, bassist “Spider”, and singer Kenny Shields. It talked to Shields by phone from Arizona. When did you first get interested in music and songwriting? I was singing in public amateur shows when I was about six years old. I used to run around the house and pretend that I had a microphone, singing to all the records I could get my hands on. Plus I would listen to the radio 25 hours a day. I guess I was hooked from the very beginning. I knew I could sing when I started screaming when I was born. I love music, and as long as I can remember music was always in the house. I had a transistor radio given to me when I was very very young, and that was always glued to my ear when I went to bed at nights. I knew every word of every song on the Top 30.
Who were the singers that had the biggest effect on you when you were younger? What really turned my head and made me decide to get into this business in a very professional way and drop everything else was the British Invasion. Mister Lennon was my biggest idol, and still is. British bands have always been at the forefront of the hard rock scene. Do you think there’s anything about the country itself that makes it such a great producer of successful bands? Yes. All that movement is made by middle-class to poor people who are very heavily unemployed. There’s no work tomorrow, let alone today, and they’re screamin’ and trying to get out. And I believe that affects young musicians and makes them want to rant and rave and scream to get out of there. Which singers do you admire these days? I like Petty, and I like Sting. And Judas Priest. Those are top singers. Why the cover version of the Stones’ “Under My Thumb” on the Under Heaven Over Hell album? Well, when we went on the road in January of 1977 we didn’t have a complete repertoire of totally original material, and we were just brand new at it, so we picked and chose favorite songs of each and every one of us. That happened to be my particular choice. I’m a bit of a Stones fan, and I was affected by Aftermath in 1965. After two years of playing that song two or three times a night, and having it work effectively in the bars as an encore for opening night, it developed into a Streetheart label and fan song, and we didn’t really think of it as not being original the way we ended up doing it. It was put to us by some people in the record company who said, “Lookit, why don’t you put this thing on wax because it would do all right.” So we recorded it the way we did it, the extended middle instrumental version of six-and-a-half minutes and it went Top 5. Not a bad choice. “Comin’ True” is one of my favorite cuts on Dancing with Danger. Are your dreams or fantasies “coming true” as the frontman for Streetheart? [Laughter]. Well, I would like to think that maybe they are, man. That’s the type of song that makes a positive little statement–I just hope that it’s not too corny for the industry. But I think there is a place for a statement like that. Hopefully it’s just something that you might want to hear again. 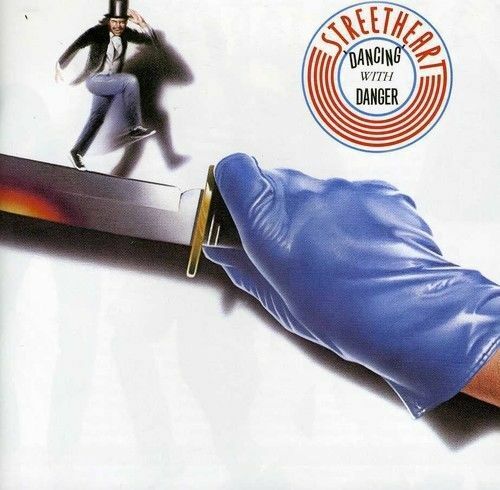 What’s the title track of Dancing With Danger about? Well it’s got three different verses of ideas. I think we might have been writing an autobiographical song, as far as the ideas and concepts and experiences of Streetheart are concerned. It always seemed that we were dancing with danger, on the edge of something. We just stuck some concepts together that we thought people at our concerts could relate to, things like drugs and sleazy pushers, fast cars and easy lovers. The producer on Dancing WIth Danger, Spencer Proffer, co-wrote several of the songs on the album. Does he normally contribute to the songwriting of those he works with? The production on the new album is very bare. It’s got a new sound to it, a raw edge. Spencer came up from L.A. to see us in Vancouver last April, and that was the first time he’d seen the band. He really liked what he saw live, and he really wanted to be able to duplicate and create the same buzz that he saw live, on record. Well of course that’s what Streetheart has been trying to do for many years too, and we maybe never really quite captured it because our objectivity wasn’t there. It took somebody from the outside to come in and do it for us. Is the any such thing as “prairie-sounding” rock band? About two hours ago I was trying to answer that same question. I have to agree that there is a “prairie sound” or that there is a midwestern sound. I mean we used to be labelled prairie rock, but then you take Loverboy. That’s not exactly prairie rock, but then in a sense it is, because those guys have had the same experiences and played in the same clubs. I think that there is something there, and I believe that it is tangible, but I don’t believe I can put it in words. But, I’ll tell ya, I know how it feels.